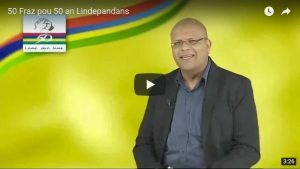 In February, I was contacted by the Mauritius Broadcasting Corporation (MBC) to participate in their 50 Fraz pou 50 an Lindepandans (50 sentences for the 50th anniversary of the Independence of Mauritius) programme. I gladly accepted. From a country which had no experience in computing and technology, Mauritius is today one of the most advanced countries in the region. All international indicators show that technology is used a lot in businesses and at home. Today, there are different kinds of companies in Ébène Cybercity and, notably, Information and Communication Technology (ICT) companies. There are local and foreign ICT companies which employ about 25,000 people and have the potential to employ still more people, including Mauritians, provided they are trained properly. 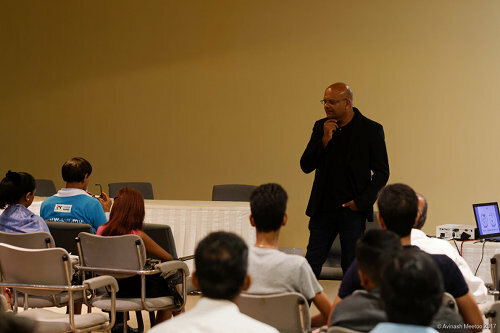 Young Mauritians are as good as any other young people from any other country and, if they get the proper training, Mauritius will be able to move up a level. Technology is an enabler. It will allow us to better leverage, for example, our seas (thereby strengthening our ocean economy), to engage in modern agriculture and to allow our hotels to have more clients from more countries. Technology can also allow us to penetrate untapped industries such as the video gaming industry. 1-2% of this industry can have a very positive impact on our economy. For this to become true, it is essential that we think big and we need to become innovative. For me, innovation is simply being able to do something today which we couldn’t do yesterday. It is necessary to inspire young people to become better than their parents for example. To do that, we could ask innovators in the island to show what they are doing to these young people. Similarly, it should be possible for young students to go throughout the island to discover what is being done. An innovative Mauritius will also require more collaborative work. People will have to trust each other. People need to understand that it is possible for everyone to win. Winning does not forcibly entail someone else losing. Engineering is the art of turning science fiction into reality says Dr Vinton (Vint) Cerf, one of the inventors of the Internet and Chief Internet Evangelist at Google. In September 2013, Christina and Avinash Meetoo of Knowledge Seven (at that time) did an interview with Vint Cerf. He talks about the importance of the Internet, creativity, entrepreneurship and what young Mauritians should aspire to. He puts a lot of emphasis on good education and the need to really master science, mathematics and, specifically, engineering. 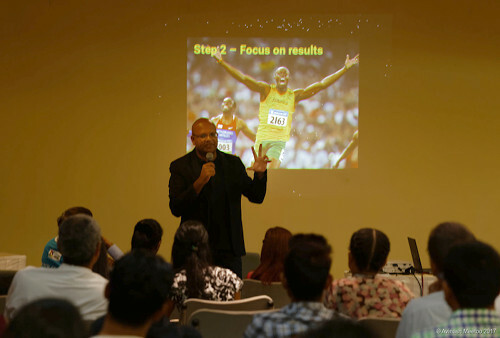 He strongly believes that competent Mauritian engineers can make a difference. Thank you Dr Cerf for accepting this interview. I know you have been quite hectic those few days with the conference going on and, for us at Knowledge Seven, it was important to be able to talk to you. Specially given that there are a lot of young people in Mauritius and, for many reasons, maybe they won’t have the opportunity to hear from you. So we want to give you the possibility to talk to those young people because at the end of the day, those young people are going to rule the world one of these days. When I was a young child, about ten years old, I knew I wanted to be a scientist. There was no question about that. I read books about science and I got a chemistry set. And so I had an opportunity to experiment with all kinds of interesting chemicals. And I can tell you in 1953, you got a lot more interesting chemicals in a chemistry set than you get today. Things that would blow up. It was great. So I was always interested in mathematics, I liked chemistry, I liked physics. I would read Scientific American. I always knew I was gonna be a scientist. I just didn’t know what kind. And then a few years afterwards, you invented TCP/IP together with Bob Kahn. The question is: how come you came across this so wonderful suite of protocols called TCP/IP? How come you came up with something which is so resilient, so good that, until now, it’s working so well? So, first of all, we were faced with solving a particular problem. We had multiple computer networks that we needed to interconnect to each other and make it look like one big uniform network and to suppress all the differences. So we were really focused on the engineering problem. And in a sense, the solution just comes out of the problem itself. If you’re lucky to express the problem in a way that exposes the solution, then you just go and build it and make it work, which is basically what we did. Now, to be honest, it took ten years between 1973 and 1983 to refine the answer, to the point where we could turn the network on, which we did in 1983. So what you’re running today is a solution that started literally 30 years ago. But did you expect the Internet to become so massive as it is today? Absolutely. I mean our entire design was built around the idea that if someone could build a piece of Internet according to our design and find someone to connect you, that it would work and so the network really grew in an organic way with people building pieces of it, finding someone to connect you and then allowing the system to expand. So, it’s been growing ever since it is turned on. I would just like to ask you a naive question. We’ve learned that you are Chief Evangelist at Google. So, what does a Chief Evangelist do? What’s the typical day of a Chief Evangelist? So, it’s very interesting: the title was Chief Internet Evangelist. So, I only evangelize about the Internet. My primary job is to find a way to get more Internet built all around the world. That’s one reason why I’m here in Mauritius. We spoke with the President yesterday. There’s no question that communications, networking, education and electrical power, and reliable environments are necessary for taking advantage of the Internet. A typical day for me involves a speech or two. It might mean meeting with a few scientists or engineers who have ideas that they would like to discuss, some people who aspire to buy a company or to license the latest patent or design. I spend time on university campuses talking to young people about the problems that still remain with the Internet that need to be solved. Some of them are really hard. You would get a PhD dissertation by solving those problems. The idea is to get those problems in front of people who want to try finding hard things to solve. So I spend good deal of time doing that. I spend time with policy makers in government, trying to help shape the policy that will allow more Internet to be built, to allow for competition, to allow openness, so that anyone with a new idea to build an application, puts it on the net, and lets someone else get access to it, which is where Google came from: an idea from two students at Stanford who just put it up on the net and it just grew. And how do you see things evolving in small countries like Mauritius? Africa? Compared to what is happening in the US? Well, first of all, remember that the US started in the same kind of way that you’re starting. Everyone starts small and then you grow. So, Mauritius is no different. You need to have reliable power. You need to have not only engineers but you need to have business people, sales people, marketing people, you have to have people who know how to run a business. You have to have people thinking about marketing to the rest of the world as well as the domestic economy in order to take advantage of the bigger economy. After all there’s only about 1.3 million people. So you need to be thinking outside as well. The universities have to be very diverse in terms of what they can produce. You have to have these policies that will invite people to come into the country to participate with you in growing these capabilities. Some people worry that, oh, we’re too late. The Internet’s been around for forty years and we’re too late. You’re never too late. You’re always starting with everybody else with the next thing that happens, the next design, the next invention, the next information technologies. So, just get on the wagon, keep going with everybody else. There are a number of people who say (and sometimes I’m among them) that our education system in Mauritius tends to create people who are really really passive. Do you think that, because of the Internet, things are going to change quickly? People are going to become more and more active, will discover what their passion really is? This is a cultural question. And it’s very hard for me to answer that. I can say that the more you know, the more curiosity you have, the more your curiosity is satisfied by being able to get answers on the net. Perhaps that will be an incitement, even to see what other young people are doing around the world. Watching YouTube and things like that may cause our younger people to feel empowered and to do something. But in terms of being, you know, aggressive about pursuing ideas, as part of your cultural setup, you need to reinforce the feasibility of exploring new ideas. Let me explain this to you. The incidence of smart and creative people is constant per thousand in population everywhere in the world. So, the distribution is the same everywhere. Whether they get an opportunity to explore that creativity and inventiveness is a different question. What is the environment like? Are they encouraged? Do they have resources to explore? But the actual native capability to invent and create is the same everywhere. So, you should not lose track of the fact that you have your share of inventive and creative people. We know, because we have been reading on the net, that you’re working right now on Interplanetary Internet, the Internet between Earth and Mars. Can you tell us a few words about it? Well, first of all, we concluded some fifteen years ago that we should have rich communication capability for exploring the solar system with robotic spacecraft and manned spacecraft. And so our intent is to provide networking capability that will allow these various devices to communicate with each other the same way we communicate across the Internet on Earth. So that system is actually in operation now between Earth and Mars. We have orbiters, satellites in orbit around Mars, talking to the robots on the ground; all that data is getting back to Earth. They stay in communication with devices sitting on the international space station. Then there is a spacecraft in orbit around the sun called EPOXI which has visited two comets in the last ten years. And it too has been outfitted with interplanetary capability. So, what we intend to do is to keep launching satellites with these new communication protocols. And as time goes on, we’ll build an interplanetary backbone to support manned and robotic space exploration. You know. There’s a lot that has to happen in order to support a manned mission to Mars. We have to support life for nine months to get there. Then some six months to be on the planet. And then to come back, that’s another nine months. It’s a three year mission. There’s a lot still to be learned until we know how to keep people safe. So, for my money, I’d rather send robots out there for now to learn as much as possible about what the environment is like before we try to send people. How do you see the Internet evolving in the future? When you were working on TCP/IP, I imagine you didn’t think about how it would be so far-reaching. What you’re working on right now, do you think it’s going to be the same? Well, first of all, we did know what was going to happen. We had a pretty good idea. I won’t have time to give you all the background but a lot of the applications that you see today, we were doing thirty years ago, just not so much. And it is capacity that has allowed everyone to take advantage of things like email which was invented in 1971. Laptops were actually thought in 1972. Workstations, desktop machines were in use in 1973; it’s just that they cost 50,000 dollars each. So speed and cost, higher speed, lower cost have contributed to what you see today. Mobiles are the natural result of reduced size, reduced power requirements, reduced cost. So, looking towards the future, there’s no question that every appliance that we have around the house, in the office, in the car, that we’re carrying with us, will be Internet-capable and be communicating with each other and will be responsive to the questions that we ask and to control, commands that we give. Our computers will be part of our sensory environment. We’ll allow our computer to be with us, seeing what we’re seeing, hearing what we’re hearing, being our partner in our interactions with the world. Virtual reality and augmented reality will be part of the normal thing. Google glasses will let you see information when you’re looking at some real thing. All that’s absolutely clear. Medical instrumentation will be everywhere. We’ll be very instrumented. Our bodies will be examined and monitored 24 hours a day. In which case, if there are any problems, you’ll become more aware much earlier than if you had to wait till you get sick to go to the doctor and find out you have a problem. That’s exactly the quantified self. So we have a lot to look forward to neural electronics, cochlear implants, ocular implants, spinal implants to recover the use of arms and organs that we are looking into because of spinal injury. All that is absolutely clearly in the future and not all that many years. So, speaking of Google, which is quite different from other technological companies because instead of focusing on technology for the sake of technology, you do technology as a means for people to have a better life, for instance self-driven cars, etc. Do you know if Google has plans for Mauritius right now? We don’t have specific plans for Mauritius. We have an interest in general in Africa. We have incited some businesses to start in Kenya. For example, there’s activities in TV white spaces which is a new way of getting access to the Internet and that’s happening in South Africa. So we have a real interest. One of the reasons of coming here is to find out more about Mauritius, what the conditions are, how trained are the people, what is the connectivity, communications capability, availability of power. So all those things are part of the story of figuring out what are the things to do here. But we believe that access to the Internet gives you access to everything Google has available and you can build on top of that platform as many other people have. You know it’s a way for us to show what’s already there if you can get good access to the Internet. And a last question: do you have any specific message for young people in Mauritius who are going to watch this video later? Yes I do. First of all, I want you to take the time to learn about science, mathematics, engineering. You have an opportunity to make a difference in the world. I happen to be an engineer. The secret to engineering is turning science fiction into reality. That’s what engineering does. You can do that too. But you have to stay in school and you have to learn and you have to apply what you’ve learned. Maybe you’ll change the world too. On 2 December 2017, I did something cool. I gave the microphone to others. I was supposed to make (yet another) presentation on Innovation as a major enabler in the transformation of Mauritius during Infotech / Innovtech 2017. 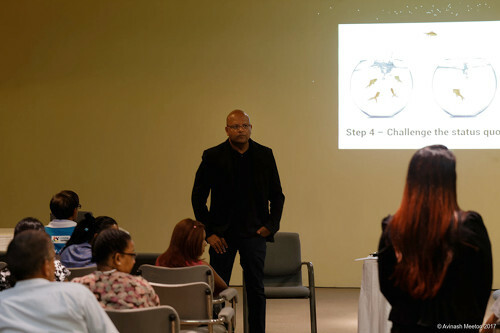 During the past few months, I have realised that, sitting in our tour d’ivoire, it is impossible for us to have all the answers concerning on how to create a culture of innovation in Mauritius. Inspired by a similar session by Prof Chinapah during eLearning Africa 2017, I decided to simply ask a few questions during my talk and let the members of the public give answers. My job was then simply to collate everything and share with you all, including the Minister of Technology, Communication and Innovation as well as the administrative staff of the Ministry. 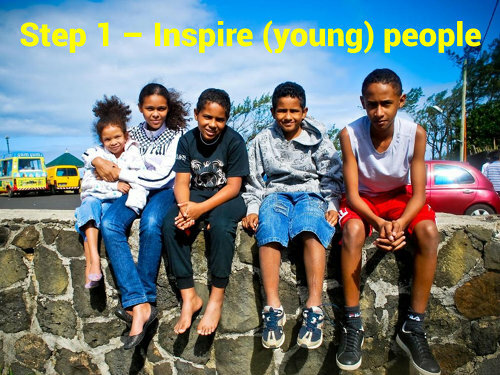 Question 1: How can we inspire (young) people of Mauritius? It is important to explain what innovation is and why Mauritius needs to be innovative. Role models need to be identified and they should come to school to show what they do. Puzzles, kits, robots, etc. need to be given to kids at school so that they can experiment, collaborate and play. Kids need to have more activities and games at school instead of just listening and writing. Kids need to be able to travel to discover new countries, people and cultures (e.g. exchange programmes). Focus at school need be on collaboration and sharing, not competition. There is a need to recognise that there are different kinds of intelligence, not only academic. STEM (science, technology, engineering and maths) need to be introduced early and in an interesting way. Proper and sincere recognition need to be given whenever a kid succeeds (in any way). Teachers should impose less on kids, they should even ask kids what they would like to know. The teacher to student ratio need to be as high as possible. Question 2: How to make the population focus on end results? Whoever initiates (big) projects need to communicate its intent and benefits as clearly as possible (“good marketing”). The projects need to be explained in the context of the common good and common space that we all share. Success criteria need to be properly identified (someone mentioned that, until the population stops thinking that owning a BMW or a massive house is real success, then this is going to be difficult). Projects need to address issues that are important (e.g. leveraging our territorial waters, solving traffic problems, making our lives better). 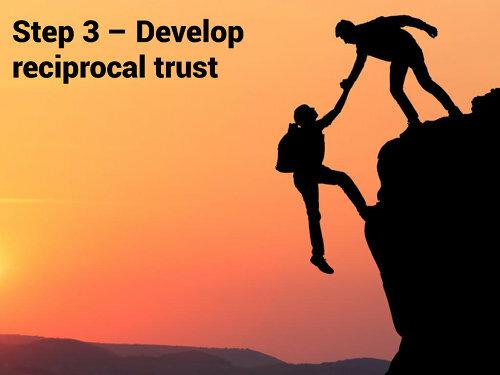 Question 3: How to develop reciprocal trust among Mauritians? It is clear that we, Mauritians, do not trust each other. We love to criticise (la critique est facile, l’art est difficile…) without trying to empathise (i.e. understanding the point of view of the other). We need to be honest (and, dare I say, stop bullshitting each other). We need to learn to say “Bonjour” when we meet others. Mauritians need to collaborate with others and create synergies. Our collaborations should not only be about getting more money. Our mentality should change about “the other” and this needs to start at school. We should introduce a happiness metric (as Bhutan did in the past): are we really happy? Question 4: How can we challenge the status quo? Aha. Since I’ve returned to Mauritius 20 years ago after spending five years in France, I have noticed that we love repeating things that don’t work over and over again. I’ve seen that as a consultant (recruit young people, make them miserable, allow them to leave and repeat), in education (recruit bad teachers and unguided students, teach irrelevance, have easy exams, create generations of badly-trained people and repeat) and now in ministries (organise numerous workshops in posh hotels, write reports which no one will ever read, only few recommendation taken into account and repeat). We need to favour and better encourage risk takers: they are the ones who challenge the status quo by being leaders, others are just followers. We need to change our mindset towards the success of others: we should stop hating others for their success. We need to have platforms to share ideas and opportunities: it is difficult to innovate alone. We stop hating others for their success. Right now, I am in between two minds about this happening soon. On one hand, we need to or else other countries will quickly overtake us. But, deep inside us, we still have this tendency to hate others for their success. How can this be addressed? How can our mentality change so that we understand that we are all in the same boat and, without collaboration, nothing will happen? In my opinion, this can only happen at the very top level: the Prime Minister need to make us want to work together for the common good.